What do you use as a sweetener? 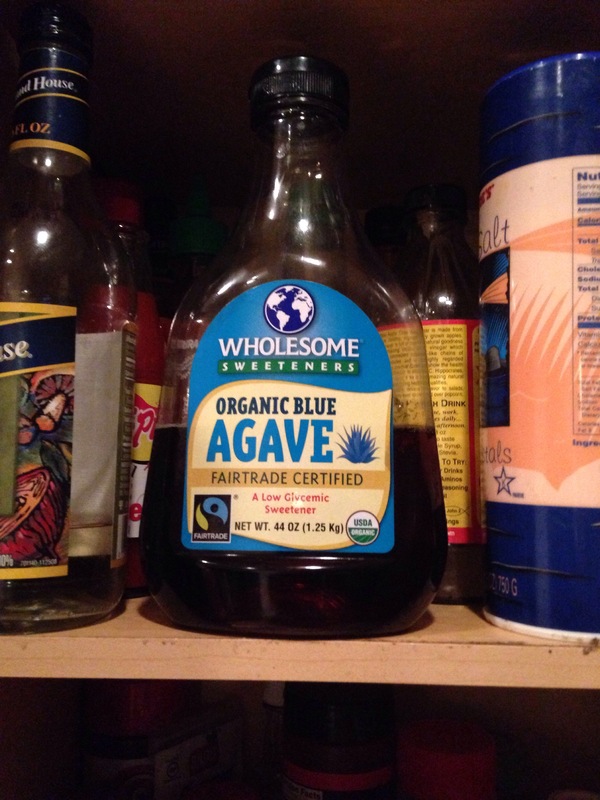 I have been using agave nectar in my smoothies, teas, and in some recipes as a sugar substitute. I purchased this from Whole-foods Market! Wholesome Sweeteners Fairtrade Organic Blue Agave is a natural sweetener extracted from the core of the Blue Agave plant. Fairtrade Organic Blue Agave is a mild delicious syrup that is a ideal for sweetening beverages, oatmeal, pancakes, waffles, yogurt, cereal and more. It is also great in smoothies, iced tea, or cocktails as it dissolves quickly in cold beverages. Try it wherever you would use a tabletop sugar. • Agave is non-crystallizing and dissolves quickly in hot or cold beverages. No refrigeration is required. • It is low glycemic with a glycemic index of 39 or less. You get natural sweetness without the blood sugar spike. Wholesome Sweeteners agave syrup has been tested by an independent glycemic lab. Glycemic index will vary from person to person, depending on how each person metabolizes sugar, and on other foods consumed at the same time. The Fairtrade Certified logo is Wholesome Sweeteners’ guarantee that farming cooperatives are paid directly for the agave grown. This means that farmers can compete with factory farms, cultivate the quality of their crops, send their kids to school and build thriving communities. Thank you for choosing Wholesome Sweeteners and helping to make the world a sweeter place.